This is the fifth article in our series investigating the basic meaning of all 11 Incoterms. We’ve also covered the following: Free Carrier (FCA), Delivered At Place (DAP), Delivered Duty Paid (DDP), and Carriage Paid To (CPT). Today, we’re discussing the Incoterm CIF, also known as Cost, Insurance and Freight (at named port). 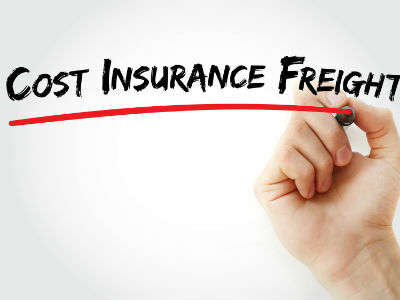 What Does the Cost, Insurance and Freight (CIF) Trade Term Mean? When Can CIF Be Used? CIF is used only for vessel transport modes—sea or inland waterway. The seller must arrange for and pay the costs and freight necessary to bring the goods to the named port of destination. The seller’s responsibility for risk concludes when the goods have crossed the rail of the vessel at the port of unloading. The seller is responsible for purchasing insurance.